In.sight srl was selected among the 15 participants of the Startup Gloal Program by Garage+, one of the most important Asian incubators internationally. The event will take place in Taipei (Taiwan ) from 23 May to 3 June and will involve reality from all over the world that will be auctioned closely with the Taiwanese commercial resources. During these two exclusive weeks, there will be acceleration activities, meetings with potential investors and presentations to the media. To enhance the international reputation of Taiwan’s entrepreneurship and innovation, the National Development Council and Epoch Foundation together launched the Startup Global Program with the partnership of Garage+ inviting startups worldwide to Taiwan. The Startup Global Program teams will exhibit at COMPUTEX’s booth “Startup in Taiwan to Make a Difference“. They will be able to connect with Taiwan’s solid industrial resources and will also be exposed to other Asian markets in hope of bringing more vitality to Taiwan’s industry. The 2016 Startup Global Program has received applications of 58 teams from 19 countries. The 15 selected finalists are from USA, the Netherlands, Italy and so forth. The Italian team was ‘In sight srl” presents Arianna which is an navigation system designed to guide visually impaired people in public spaces and increase their autonomy and independence. 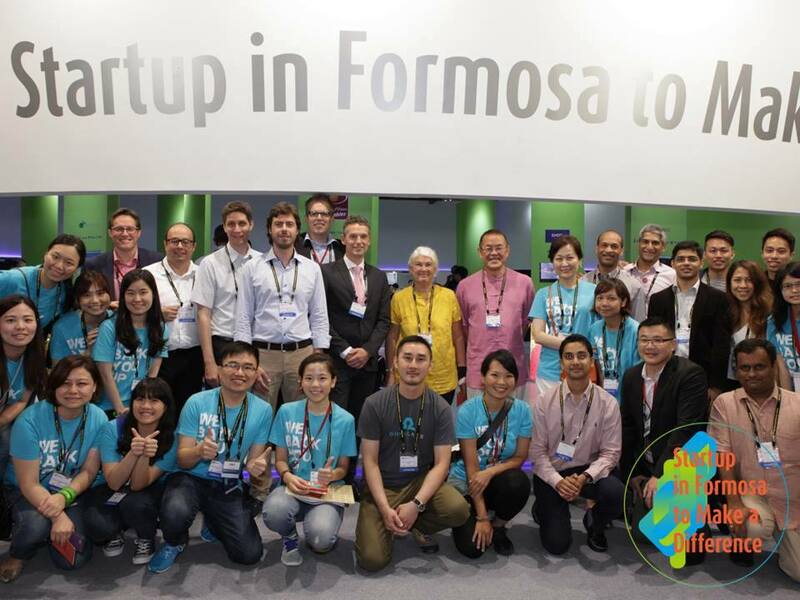 “Startup in Formosa to Make a Difference” at COMPUTEX will take place from May 31st to June 2. Surrounded by a sky lanterns and decorated with pictures of well-known landmarks in Taiwan, the exhibition welcomes international visitors not only to learn the industrial advantages, but also to experience a variety of cultures and natural landscape scenery in Taiwan. COMPUTEX 2016 is presenting a new exhibit InnoVEX, a “startup village”, for the first time at Taipei World Trade Center (TWTC) Exhibition Hall 3. The all-new InnoVEX Exhibit will be joined by 170 innovative startups from 20+ countries such as Taiwan, Australia, United States, Japan, Korea, England, Italy, Indonesia, and Denmark. Exciting events are planned for InnoVEX: In addition to demos by global elite startups, 2 large stages, Center Stage and Pi Stage, will be set up for hot keynote topics regarding the startup ecosystem, successful stories of startup unicorns, Silicon Valley startup trends, virtual reality (VR), artificial intelligence (AI), unmanned vehicles, and the latest topics with incisive analysis. During the show, InnoVEX Pitch Contest with a winning prize of $30,000 USD, will be held allowing startups to pitch to the investors on the unlimited possibilities of their products or services. But the most important highlight of InnoVEX is match-making, where organizers of COMPUTEX have invited venture capital companies such as Acorn Ventures and Click Venture, crowdfunding platform FlyingV, startup accelerator 500 Startups and HWTreks to participate.